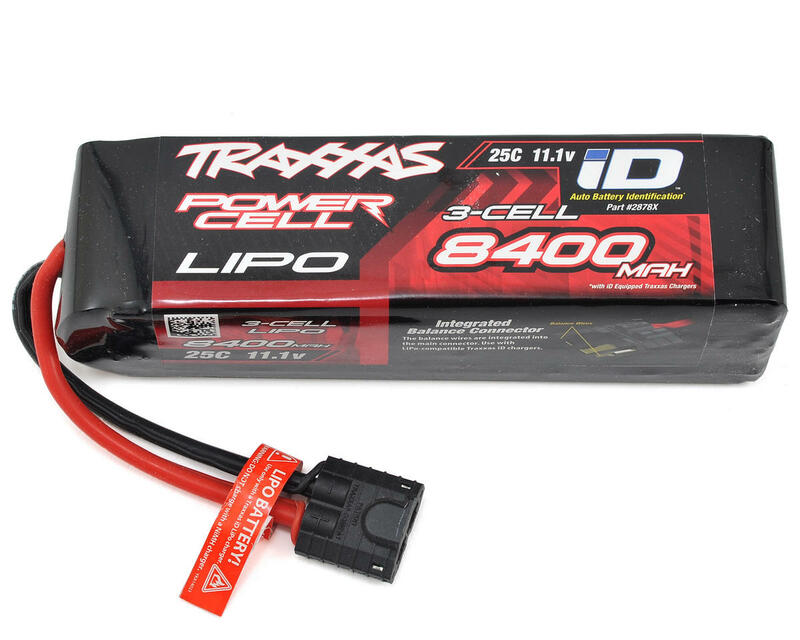 This is the Traxxas 3S, 11.1V, 8400mAh, 25C "Power Cell" Li-Poly Battery Pack with iD Traxxas Connector. This battery requires a Traxxas iD equipped LiPo charger to balance-charge! 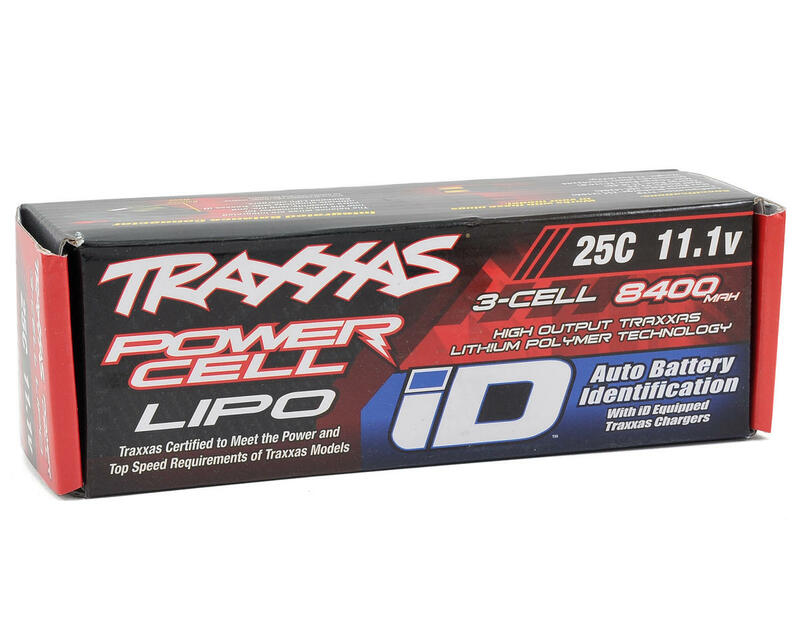 NOTE: Traxxas LiPo Batteries should only be used in vehicles equipped with low voltage protection.